What's New in Surfer 13? We have compiled a list of some of the top new features in Surfer 13. This list is only a small sampling of the new features added to Surfer 13. Display your projected map and with a click of a button, add latitude and longitude graticule lines directly on your map! 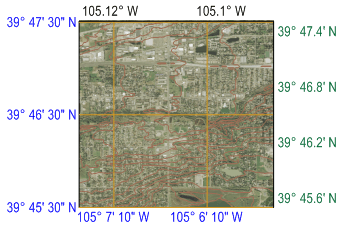 You can also create a grid in different units, allowing you to project your map in one coordinate system (e.g. UTM) and display the grid in different units, such as feet. 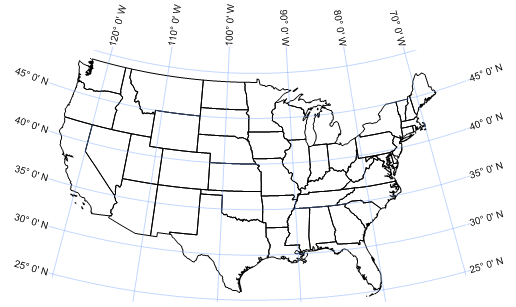 Add latitude and longitude graticule lines over your projected map! 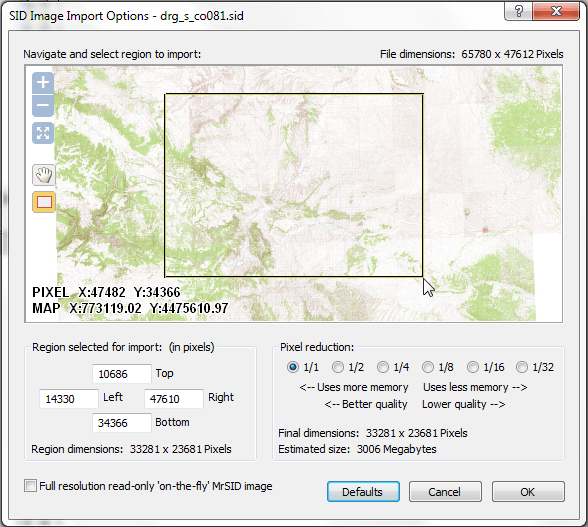 Add viewshed layers to your map to display the visible or invisible areas from a specific XY point location. Change the transmitter coordinates, the sweep angle and radius, the sampling distance, and the drawing properties to create the best presentation. 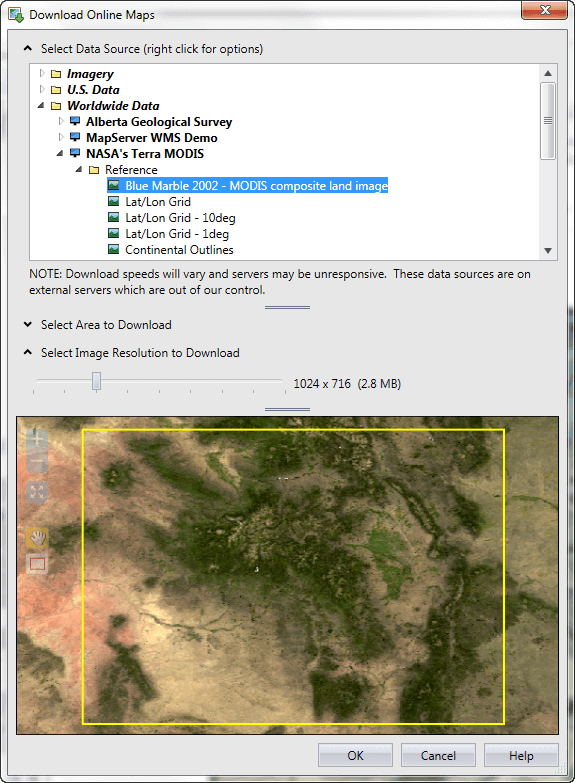 Display areas visible from a specific XY location using the new viewshed map type. Create Intersection Points: creates points at all intersections of the selected polylines and/or polygons. Break Polyline at Intersection: breaks selected polylines at all intersections with other shapes. Difference of Polygons: creates new polygons without overlapping areas. Intersect Polygons: creates a new polygon from the overlapping section of selected polygons. Union Polygons: creates a single polygon from multiple selected polygons. Buffer: creates a polygon around or within objects at a specified distance. 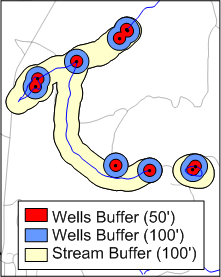 Create buffers around streams, roads, wells or any object at specified distances to visualize offsets or setbacks! Access your data quickly! 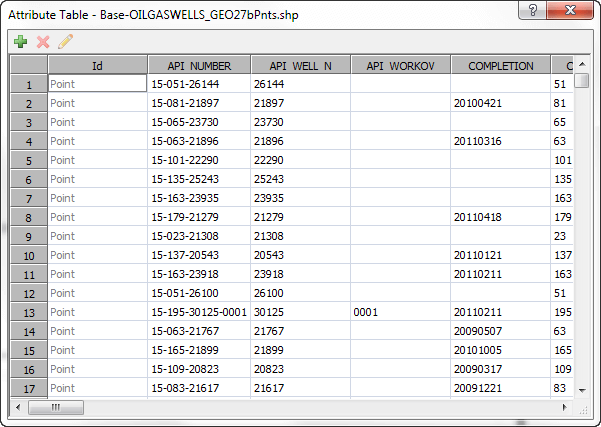 Query objects in any base layer using the object attributes. The powerful new query tool makes searching and filtering complicated base layers a snap. Query objects in base layers. Objects that fulfill the query can be selected for editing or removed from the current selection. 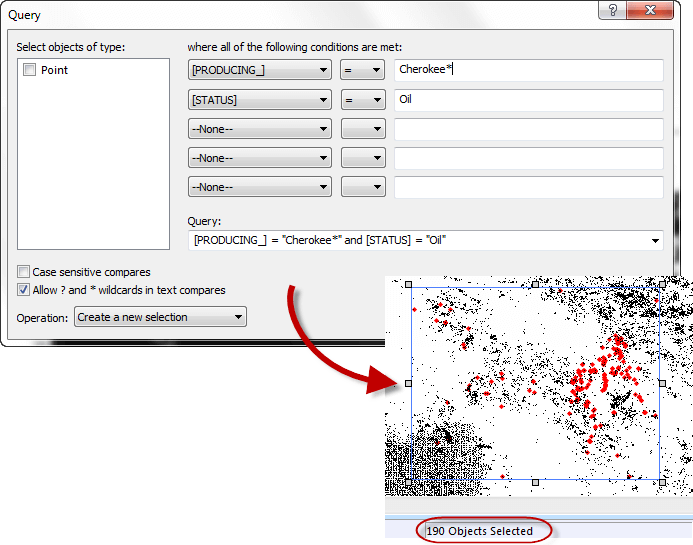 Quickly and easily manage attributes for base layer objects. Adding, deleting, and editing attributes is a breeze with the new Property Manager functionality, and the new Attribute Table. View and edit the attribute and attribute values for all objects in a base layer at once. Hit the ground running with Surfer’s new welcome dialog! 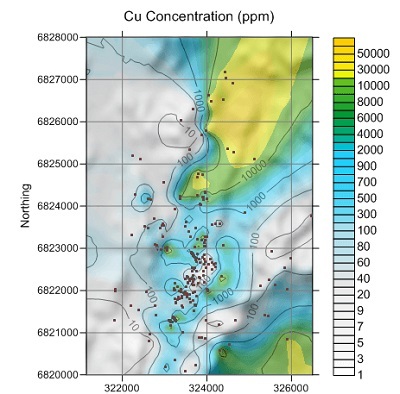 Immediately create a new plot or worksheet window, or open the Tutorial. Alternatively, select any of the project files in the Samples folder, the recent files list, or in your project folder and open them immediately. As long as a file was saved in Surfer 13 or higher, a preview of the SRF file is displayed when the file is selected. You no longer have to wonder what each file contains before opening it! 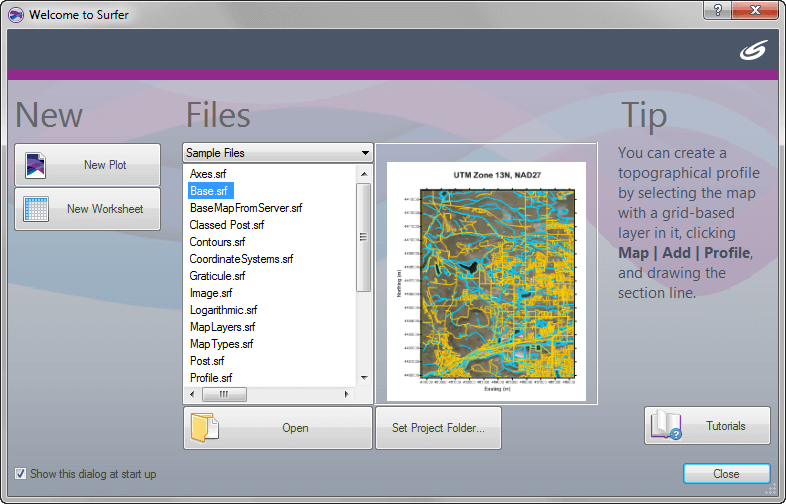 Select any Surfer 13 project file from the Files list, and see a preview of the contents of the file! Improve the readability of your maps by formatting latitude and longitude labels in degree minute second format! With the numerous options, you are sure to find the format that best fits your map. Format your Lat/Long labels in one of many different degree minute second formats! 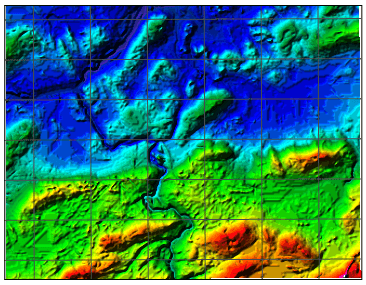 Create a 3D look with your image maps by including hill shading, which incorporates a light source into the image map display. Save time and disk space by simply enabling this feature to create this effect instead of (as previously) overlaying a shaded relief or 3D surface with the image map. Add hill shading to your image maps for a stunning 3D appearance! Keep all your data together! Create a title for the color scale bar, so it moves with the bar or helps identify which scale bar is which when you have more than one. Add a title to your color scale that moves with the scale bar. Display the dates and times in the format you want! 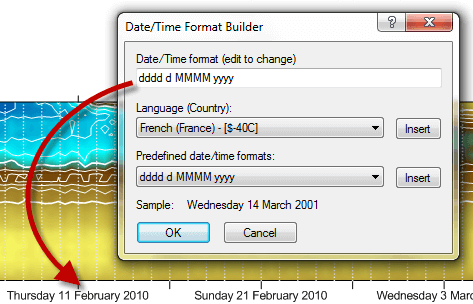 Customize the dates and times to show the information in any format you wish. Customize your date and time format to whatever format is best for you! Choose between many different predefined formats or create your own. 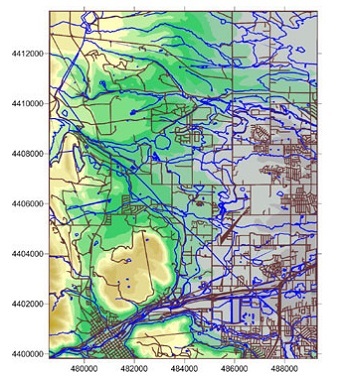 Surfer’s improved WMS browser efficiently locates and downloads high resolution images to use as base layers or other grid-based layers. Define a local system for your map and set the units for that system! It doesn’t have to be in a geographic world system. The units could be millimeters on a microscope slide, or centimeters for an archaeological excavation. 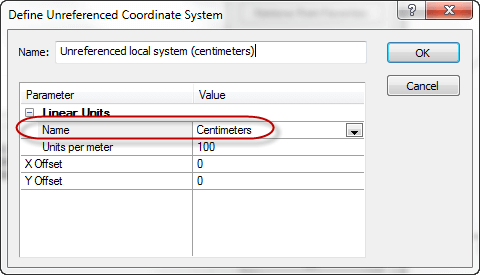 Once the units are specified, you can measure distances and areas and convert the units to another linear unit. Specify the local units for your layers and convert the map to other units. Get the grid file you need! Don’t allow the gridding method to extrapolate the grid Z values beyond the Z range you know it should be. 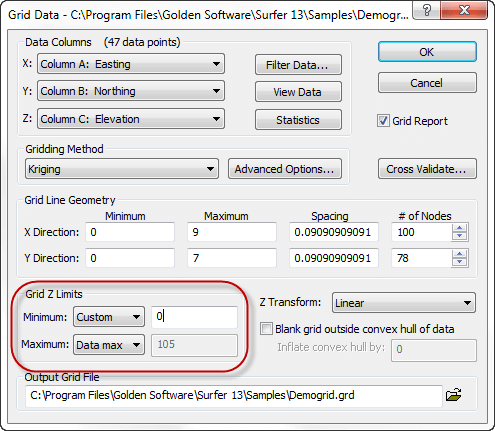 Choose to limit the Z range in the grid to the Z value extents of the source data, or choose to enter a custom value for the min and max Z value. Control the Z range of the grid file being created! Need to calculate statistics on data that contains ranges that you want to exclude? 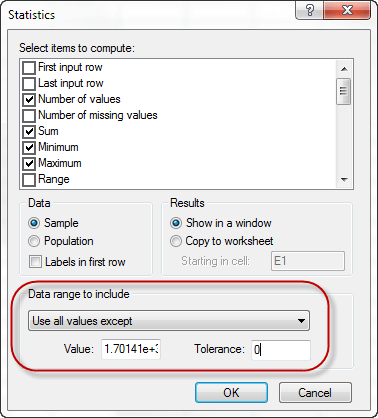 Or, do you only want to calculate statistics on data inside a set range? Or do you want to exclude a single value with or without a tolerance value? Now Surfer makes this easy. Simply select the range you want and calculate the statistics only on the data you need. Don't spend hours getting the data just right. Allow Surfer to make it faster and more convenient. Calculate statics on your data and choose to exclude a data value from the calculations, such as the Surfer blanking value. When digitizing and saving data to a BLN file, you have control whether to set the blanking flag value in the BLN file to blank inside or outside the region. Choose to blank inside the region when digitizing data and saving to a BLN file. Removing vertices from your polylines and polygons is quick and easy. Simply hold the DELETE key down and delete consecutive vertices. Reshape a polyline or polygon and delete vertex after vertex by holding the delete key down. Working with coordinate systems has never been easier. 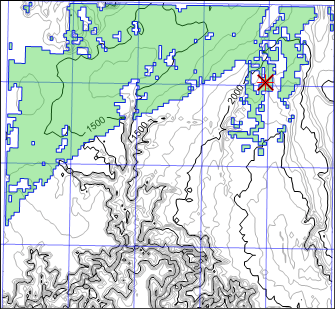 Now you can assign the same coordinate system that the map is in to all unreferenced layers in the map. You do not have to click on each layer to assign the same CS to each layer as that of the map. For example, if you have 10 layers in a particular UTM system – rather than setting the coordinate system individually for each layer, just set the coordinate system for the map and click the Assign Now button! All the layers will be automatically assigned the same system. 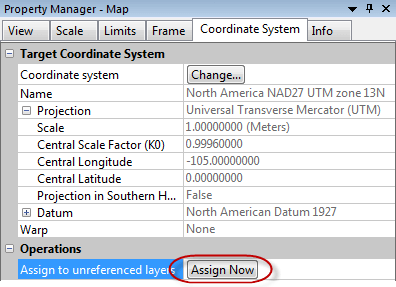 Click Assign Now to assign the selected coordinate system to all unreferenced layers in the map. You can search for coordinate systems! 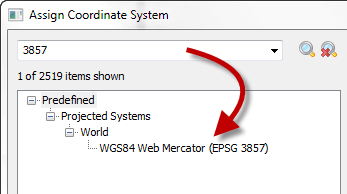 Simply type in the name, part of the name, or the EPSG number of the coordinate system you are looking for. Search for the coordinate system to make finding the one you need quick and simple.